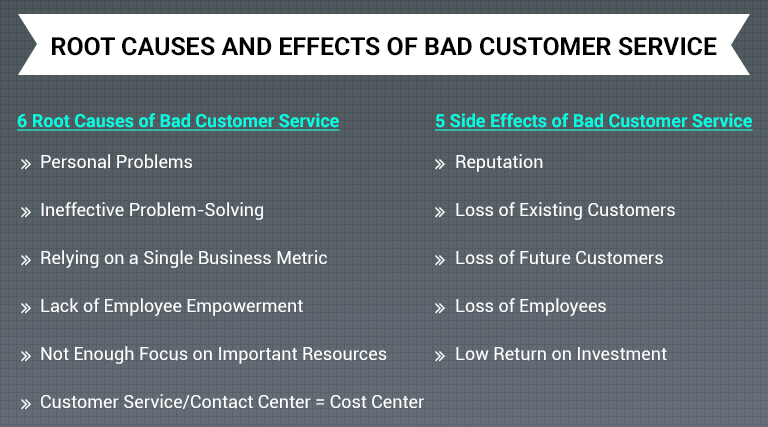 What Are the Root Causes and Effects of Bad Customer Service? There are very few things more harmful to a business than poor customer service. This has always been the case, but today, bad customer service has a deeper and more immediate impact on a company than in generations before. We have the Internet and social media to thank for that. With these two entities connecting us on a global scale, they have made it simpler for one experience to be shared with the masses. If you are a business, your only hope is that you are on the positive end of that experience. The answer to this question can vary. When thinking of what poor customer service is, we can look to the opposite end of the spectrum. Good customer service is when there is a bond created between the agent and the customer. The customer feels comfortable communicating to the agent and genuinely feels as if the agent is trying to resolve their issue. We can then consider poor customer service to be when none of these milestones are reached. Instead of feeling comfortable with the agents, customers are frustrated. They don’t feel any bond or connection and aren’t convinced the agent did the best job to resolve the issues. The effects of poor customer service are what become scary for a business today. Recent surveys have shown that over half of angry customer will tell their friends and family of their poor experience. Even worse, 32% of customers will simply not do business with that company after bad customer service. 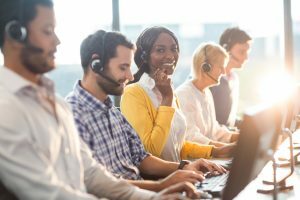 While bad customer service can certainly vary from company to company, we can point to similarities in the root causes. As hard as some employees try, it is difficult for them not to be affected by the events of their personal life. This can lead to employees being short with customers on the phone and not effectively finding ways to solve customer problems. It’s important that management encourage employees to communicate their personal problems so those issues don’t spill over to their communication with customers. Customers are calling or reaching out to customer service for one reason: they want answers. If an agent is unable to provide those answers, then customers become frustrated. Frustration can lead to one of the outcomes we detailed earlier, like sharing their bad experience or simply not doing business with your company moving forward. One way to avoid this is by giving your agents more power to solve problems so that they don’t need to pass on the issue to another agent. If your agents are only focused on achieving a single business metric as their baseline for success, then you are doing a disservice to your customers. The average call time and the number of calls agents are making each hour are certainly part of what determines their performance. But the main focus should be on how agents can connect with customers and resolve their issues. It’s important that agents are empowered enough to actually provide the actions that can solve a customer’s issue. If agents are not empowered, they end up having to pass the customer on to someone else who does have the power to make things happen. This means customers spend longer on the phone and often have to explain their problem more than once. This is one of the top aggravations for customers. Agents are the main resource to your customer service. If they aren’t happy or well-trained or feeling empowered, then your customer services suffers. Put in the time, effort, and resources to ensure that agents are prepared and feeling valued. This will significantly improve their output. When thinking of the causes of bad customer service, this one may not immediately come to mind. However, if your business sees customer service only as a cost, then it impacts how you interact with your agents and the energy you put into helping them improve. Customer service agents need to be seen as much more than a cost. They represent an opportunity to connect directly with clients, which almost no other aspect of your company can claim. Treat your customer service department with the respect it deserves and acknowledge its impact on customer relations and your bottom line. The hope is that instances of poor customer service are few and far between. However, it’s still important to know the effects poor service will have on your business. As we’ve already made clear, customers have no issue or lack of resources for sharing instances of poor customer service. This puts your company’s reputation at risk with each and every call that your agents take. A bad reputation is not easily remedied, which is why it becomes important to focus on creating a positive customer experience with every interaction. Previously, we pointed out that over 30% of customers will simply not do business with a company with which they’ve had a bad experience. No business wants to lose customers, but even the most loyal of customers will move on to your competitors if they don’t feel valued by your customer service. Studies have shown that over 90% of customers will tell at least one friend of a poor experience while only half of these same respondents will make mention of a positive experience. What that shows is that you are shooting yourself in the foot and literally costing your business future customers when you provide poor customer service. Employees generally want to be part of a successful company. They see and hear what people are saying about the company they work for; if much of the commentary is negative then they are prone to look elsewhere. A lot of the opinions formed by the public are based on their interaction with customer service agents. So it’s not a stretch to say that poor customer service can actually cost you good employees. If you aren’t employing skilled customer service agents and providing them the proper training, you will see the impact on conversions. You can have a superior product or offer a unique service, but if your agents aren’t performing up to task, then the return on your investment will suffer. 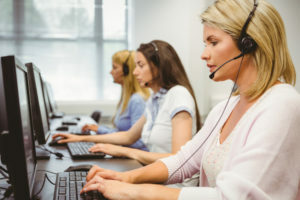 As the leading provider of outsourced call center solutions, 3C Contact Services provides agents with the necessary training to improve their customer service skills. We understand explicitly the causes and effects of bad customer service. For more information on available services, please contact us today.